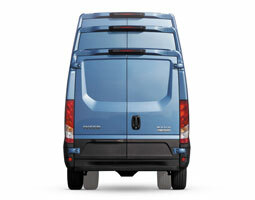 The Iveco Daily E6 van comes with a choice of 13 different sizes as well as options on wheel base, roof height and cubic capacity. This is the ultimate 3.5 tonne to 7 tonnes and can which can be configured at every stage to suit your exact needs. It applies its business instinct to advanced engine and transmission technologies in order to deliver the top class performance you need to complete your mission efficiently and reliably. 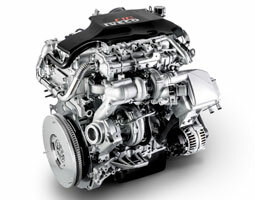 The new engine line-up delivers more power and torque while reducing the Daily E6’s impact on the environment with its low emissions. The Daily E6 combines its natural vocation for transport with superior comfort, functionalities and driveability. When you are at the wheel, you can relax in the comfort of the cab, knowing that you are getting the job done efficiently. The cab provides you with a professional work environment brimming with new features to help you run your business. Take advantage of the broad range of power ratings in the Iveco Daily E6, from 116 HP right up to 205 HP, and torque from 320 Nm up to 470 Nm. 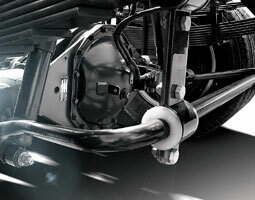 The rear traction lets you drive in optimal conditions while carrying maximum loads. Whatever your mission, you will find the Daily E6 matches your requirements. Ranging from 3.3 to 7 tonnes GVW and cargo volumes from 7.3m3 to 19.6m3 this makes the Daily E6 the most versatile van in its class. 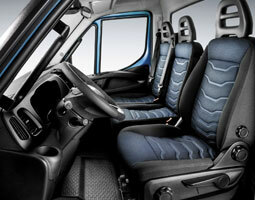 The new upholstery, reduced interior noise and the ergonomic dashboard contribute to the Iveco Daily’s superior comfort. Load your Daily to its maximum capacity every day, year after year, in the knowledge that it can be relied on to complete every mission effectively with its bigger payloads of up to 4 tonnes.